What could be better than music by the legendary Fleetwood Mac? How about a live a cappella version involving two of the biggest college a cappella groups from different parts of the world? 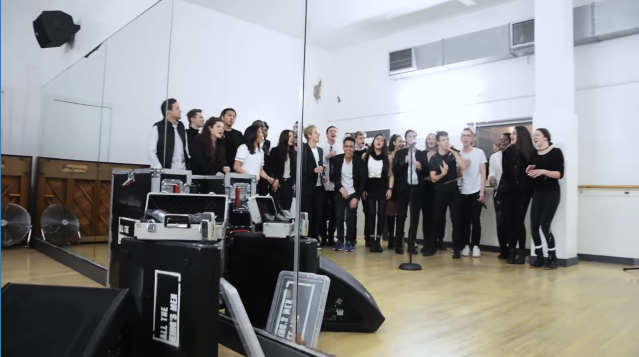 In this live performance, the USC Socal Vocals and All The King's Men from King's College London team up for a rocking cover of the 70s hit. BTW, we're pretty sure this is a new record for most soloists featured in a single college a cappella song.